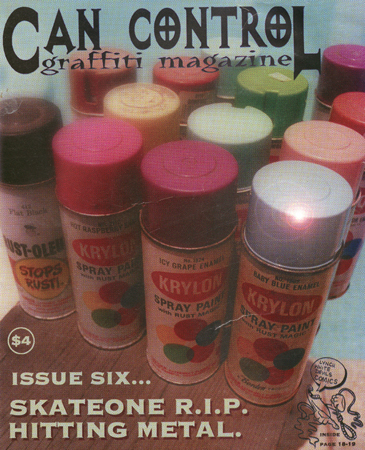 Welcome to the the official web site of CAN CONTROL GRAFFITI MAGAZINE..
GETTING UP SINCE 1980. 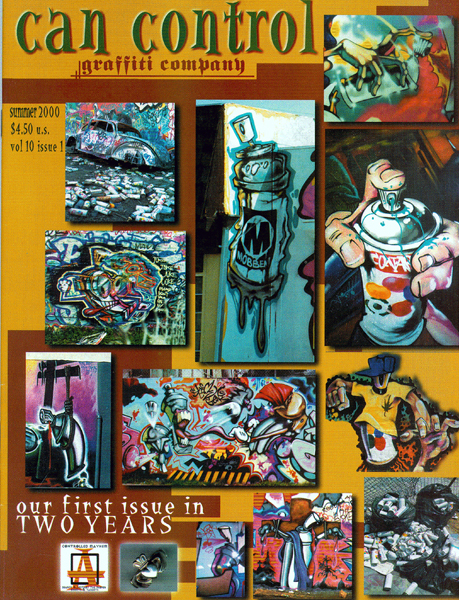 SHOOTING GRAFFITI SINCE 1984. PUBLISHING SINCE 1987. 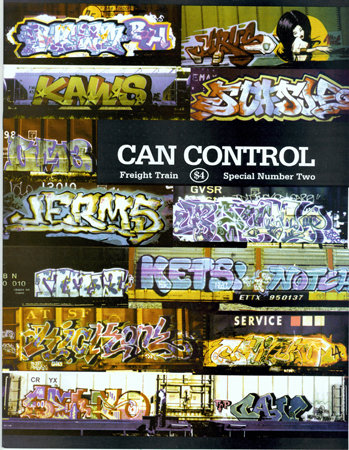 My goal with this site IS TO RECREATE THE SIMPLE STRAIGHT FORWARD "SHOW THE GRAFFITI" FORMAT THAT HAS MADE CAN CONTROL WORLDWIDE! I want to just show my Flicks & do interviews & give links to REAL Writers. Just like Can Control I'll take all the space I need to show Graffiti up close & clear. THIS WONT REPLACE ISSUES BEING PRINTED FROM TIME TO TIME BUT USE THE SITE DAILY LIKE AN ISSUE. 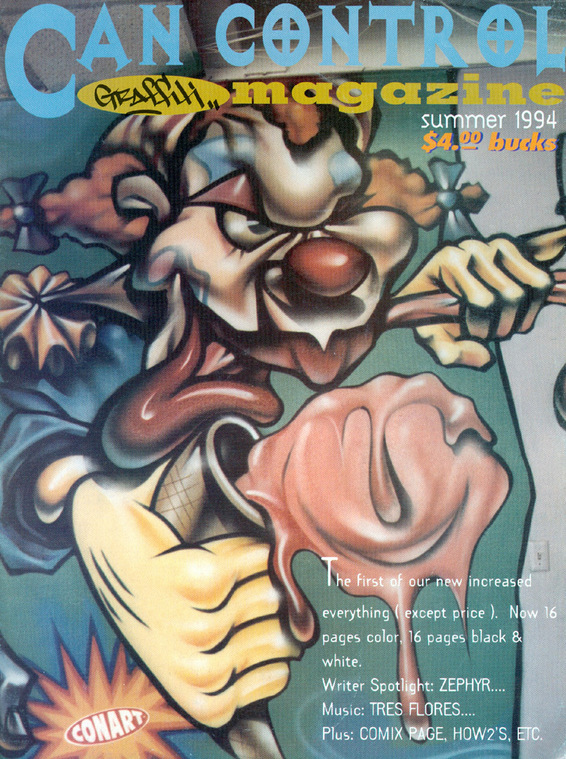 Founded in 1987 (as Ghetto Art for the first six issues) Can Control Graffiti Magazine was the worlds first Graffiti Magazine. FIRST IN COLOR. FIRST SHIPPED GLOBALLY. FIRST TO DO MULTY PAGE SPOTLIGHTS ON WRITERS. FIRST TO DO MUSIC INTERVIEWS. FIRST TO SHOW "HOW TO DO IT" SECTIONS etc. 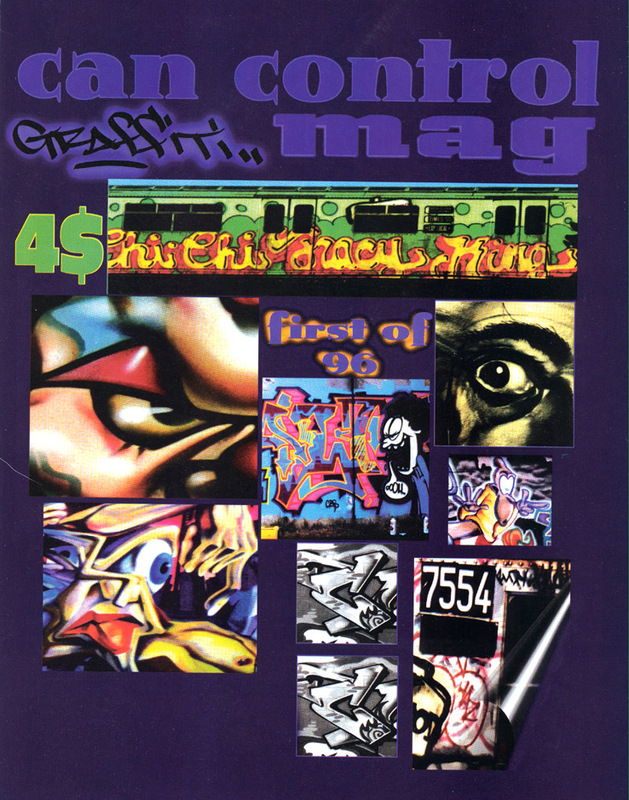 True the GREAT ZINE IGT from NYC started in 84, but in the giant history of Graffiti the world has made it clear Can Control's place is important. 99.99% of the flicks on my site are shot by me! ​I wanted the Flicks to bring the civilians into our world. 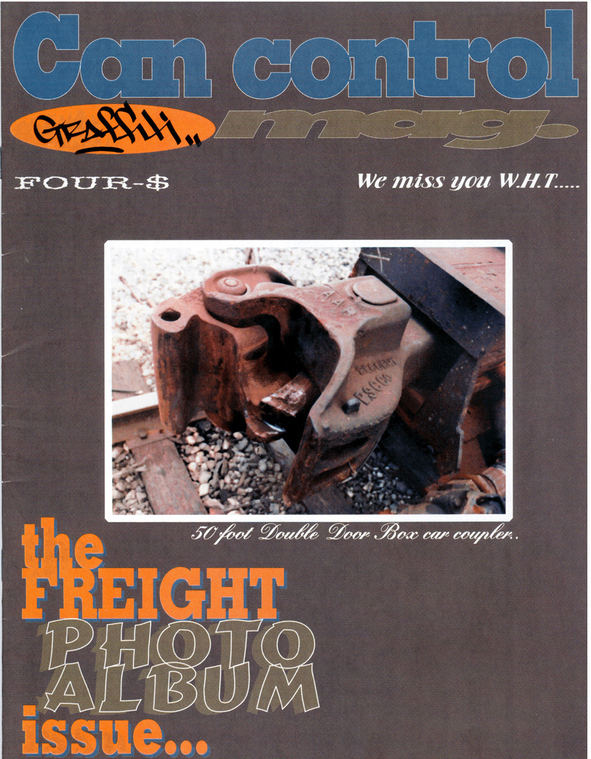 LIKE FOR CAN CONTROL MAG MY WEB SITE I WILL DIG INTO MY NEGATIVES FOR YOU GUYS.